. 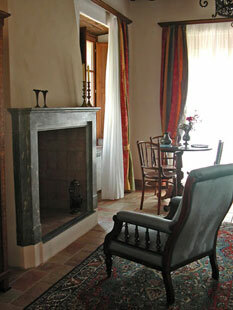 : L'Arcadia B&B - The House :. For over 200 years it’s been our family’s house, part of a hamlet grown during the centuries with our roots, and from today, it can be your residence. We’ll offer you the warm embrace of the stone walls, the ceilings with exposed hand-carved beams, wrought iron beds, old times furniture, and all that’s arranged so that, at Arcadia B&B, you’ll feel the quietness and familiar warmth of times gone by. With its park, among olive groves and lapped by a brook, our B&B preserves for its guests the intact atmosphere of the past, together with the comforts of today. Less than 10 kms from Forte dei Marmi’s beaches, at the foot of Alpi Apuane, where there stand out the famous marble caves, which so long have influenced Versilia’s culture and history, Arcadia B&B can offer our guests the pleasure of the choice between the call of the sea, and the silence and calmness of mountain landscapes. 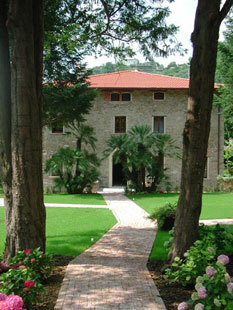 Furthermore, in less than one hour, you can easily reach the art centers of Massa and Carrara, of Lucca and Pisa. Arts, seaside, genuine food, relax: at Arcadia B&B you’ll be able to enjoy all beauties and wonders which have made of this part of Tuscany one among the destinations most aspired by tourists all over the globe.